Cast your mind back to the world of the Arabian Nights and a bold, courageous horse galloping across the scorching sand, nostrils flaring, mane flying in the hot desert winds. The Arabian is the oldest horse breed known to man, and these days, descendants of those very first Arabians can be found all over. It is one of the most popular breeds of horse — and for good reason. 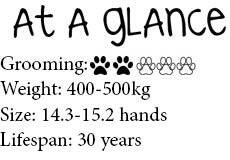 It is a strikingly exotic breed with incredible endurance, a distinctive showy high tail that arches up, and a body shape that sets it apart from other breeds. 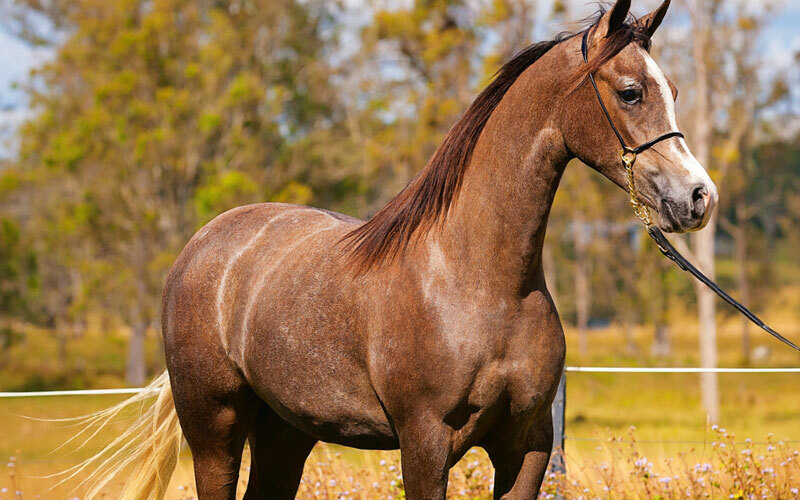 Breeder Melissa Reid from Reid River Arabians says the free-spirited Arabian is an intelligent breed that can be a lot of fun to own. “They are very trainable, but they do have a wilful streak so you need to be smart with them,” she says. “Until they are around five or six, they will try to see what they can get away with.” So if you are a first-time horse owner, the Arabian will need a firm decisive hand — it definitely needs to know who is boss! Charming and just a little bit cheeky, the Arabian will form a very close bond with those who care for it. Melissa still owns her first Arabian, Mysty, and says they have a special bond that will last a lifetime. “I have sold her three times and bought her back — I just love her to bits,” she says. Purebred Arabians are available in select colours: grey, chestnut, bay and black, and varying shades of these set colours.